When you hit the long anticipated age of 16, attaining a driving license often finds itself on top of the list of things to do. Learning to drive is one of the most common tasks undertaken in Australia, seeing countless of individuals both young and old register for the Driver Knowledge Test (DKT) every day. Before you begin your learning journey, there are a few things you ought to educate yourself on. First, the process of learning to drive and second, assessing if you need to enroll in a driving school. For the residents of New South Wales, this exciting process starts with the taking of the DKT. To prepare for that, applicants can check out the Road Users’ Handbook and visit the Road and Maritime Services website for more information. Upon completion of this, you will officially become an L plater. The learner’s license is good for 5 years, giving you ample time to learn to drive. Armed with your Learner Driver Log Book (learners above 25 years old are exempt from using this), you can now legitimately operate a vehicle with a supervising driver at hand. Be conscientious in recording your driving experience because in order to proceed further, you need to clock 120 hours of driving over a period of at least 12 months. With these achieved, you can confidently go ahead to attempt the final driving test when you turn 17. Pass it and congratulations – you are a learner no more, with your brand new Provisional license! Process aside, a crucial individual in this journey of you learning to drive is the supervising driver. While the first person that comes to mind is often a parent, relative or close friend, it is imperative that you remember that teaching someone to drive can be a stressful task that not everyone is cut out for. 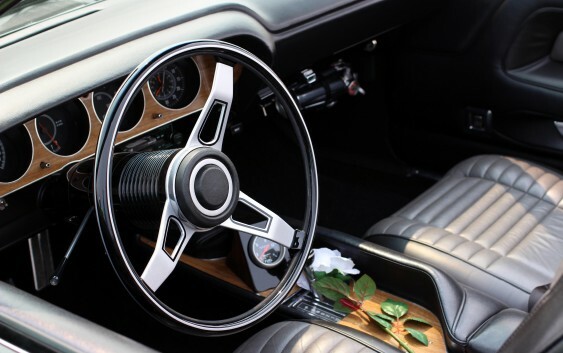 That someone you have in mind may be an extremely proficient driver, but when it gets down to explaining the clockworks of driving, it might be a different story all together. Therefore, before you make your decision regarding this, these are the few pointers you ought to run through. Make sure that any potential supervising driver appreciates the good and ugly sides of teaching a learner. For those who can’t find a suitable candidate to be your supervising driver, driving schools are a very useful option to consider. After all, these establishments were set up just for situations like this and certainly, the instructors there are prepared to take on the teaching role. Also, remember the logbook mentioned earlier and how you need to chalk up 120 hours? With a paid driving instructor, you can key 3 hours into your logbook for every 1 hour, up to 10 hours. In short, if you register for a 10-hour course at a driving school, you get to record 30 hours into your logbook! Driving schools are not hard to find, with tons of them dotted all over the country. However, having said this, it is also vital that you choose an institute that can ensure a solid education in driving. With the plethora of schools out there, it can be a tedious job in itself to select the best school. The most important thing to lookout for first is whether the driving instructors are fully qualified. Second, you would want a school that obviously possess the type of vehicle you plan on learning – automatic or manual transmission. Also, it is wise to go for schools with instructors who can provide structured lesson plans on a one-on-one training basis. Driving schools promise comprehensive lessons for learners with dedicated instructors with a wealth of experience. Finally, trust your instincts. After all, isn’t driving on the road all about instincts?